Why See Pacific Northwest Ballet - A Midsummer Night's Dream? Enter an enchanted realm where ballet, the poetry of Shakespeare and the music of Mendelssohn meet in a whirlwind of farce, romance and magic. In 1962, famed dance master George Balanchine debuted his choreography for A Midsummer Night's Dream with the New York Ballet and the popular production quickly became a stalwart of most leading company's repertories. In fact, it first graced the stages of the Pacific Northwest Ballet in 1985, with a redesign hot on its heels in 1997, thereafter remaining a seasonal favorite. 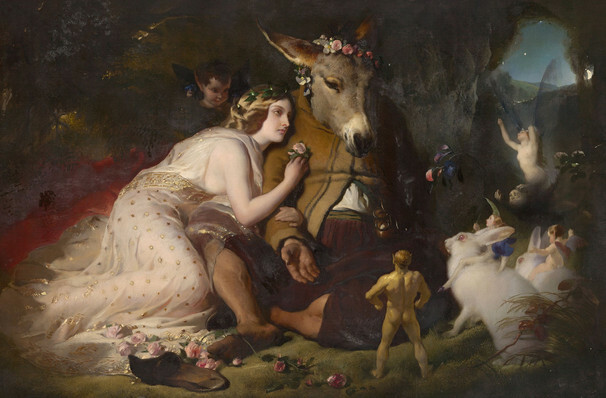 Set to an exquisite selection of Mendelssohn compositions including his Overtures to Athalie, The Fair Melusine, and the overture and incidental music from the titular piece, A Midsummer Night's Dream unfolds in ancient Athens, where two sets of quarrelling human lovers enter the forrest realm of King Oberon and Queen Titania, the overseers of the fairy realm who share their own tumultuous relationship. Throw in a mischievous sprite named Puck and a handful of hapless mechanicals and you've got a rip-roaring tale about mistaken identity and the transformative power of love. 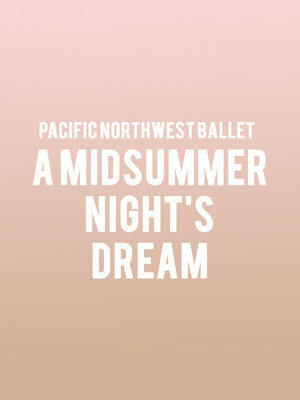 Seen Pacific Northwest Ballet - A Midsummer Night's Dream? Loved it? Hated it? Sound good to you? Share this page on social media and let your friends know about Pacific Northwest Ballet - A Midsummer Night's Dream at McCaw Hall. Please note: The term McCaw Hall and/or Pacific Northwest Ballet - A Midsummer Night's Dream as well as all associated graphics, logos, and/or other trademarks, tradenames or copyrights are the property of the McCaw Hall and/or Pacific Northwest Ballet - A Midsummer Night's Dream and are used herein for factual descriptive purposes only. We are in no way associated with or authorized by the McCaw Hall and/or Pacific Northwest Ballet - A Midsummer Night's Dream and neither that entity nor any of its affiliates have licensed or endorsed us to sell tickets, goods and or services in conjunction with their events.